You may wish to see an introductory page on this section first. Septempeda: (mentioned by) Strabo, Ptolemy. A town of the Picenum situated between Nuceria to the west and Ancona to the east. Now S. Severino in the March of Ancona. Alexander Macbean - A Dictionary of Ancient Geography - London 1773. 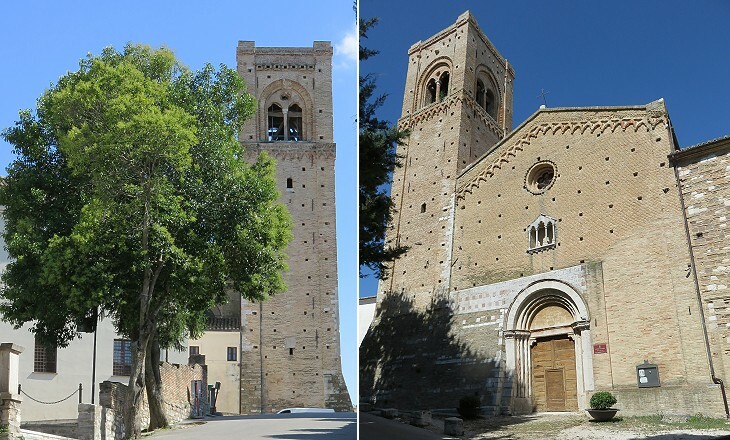 According to tradition San Severino owes its name to Severinus, the only recorded Bishop of Septempeda, who lived in the VIth century when his town was destroyed during the Greek-Gothic War. 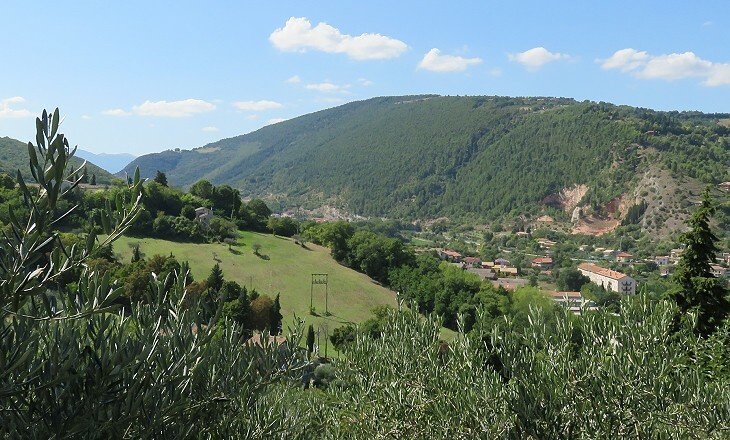 Its inhabitants eventually fled to a nearby hill on a commanding position in the valley of the River Potenza. Castello di San Severino, the settlement on the hill is first recorded in the Xth century. In the XIIth century its inhabitants claimed their right to self-government. They generally sided with the German Emperors, rather than with the Popes. 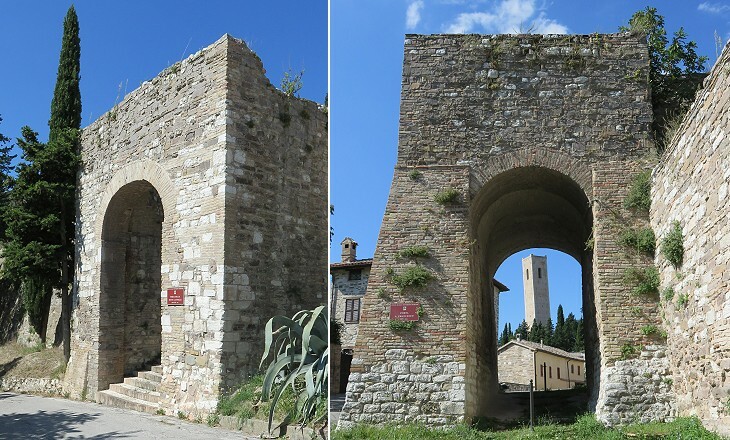 This led to frequent wars with nearby Camerino and Tolentino and the inhabitants of San Severino had to build walls and towers to protect their town. 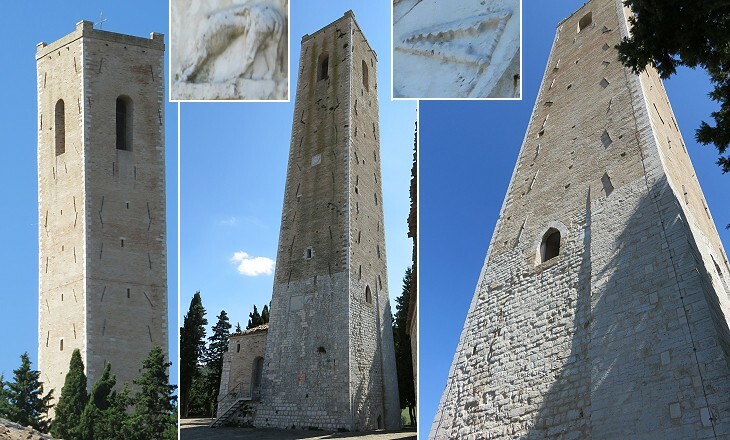 The height of Torre Civica allowed its defenders to be in visual communication with other fortifications in the territory controlled by San Severino in order to exchange information on enemies approaching the town or other events. The tower has withstood the effects of many earthquakes, including a major one in 1997. It makes sense to assume it was not the only tall tower of the medieval town. San Severino became a bishopric see in 1586, so the main church on the hill was not built to serve as the Cathedral, but to house the body of Bishop Severinus. Its construction is recorded in documents of the Xth century, but it was rebuilt in the following century, whereas the bell tower and the façade are XIVth century additions. The interior was modified in the XVIth and XVIIIth century. It served as the Cathedral of the diocese until 1827. 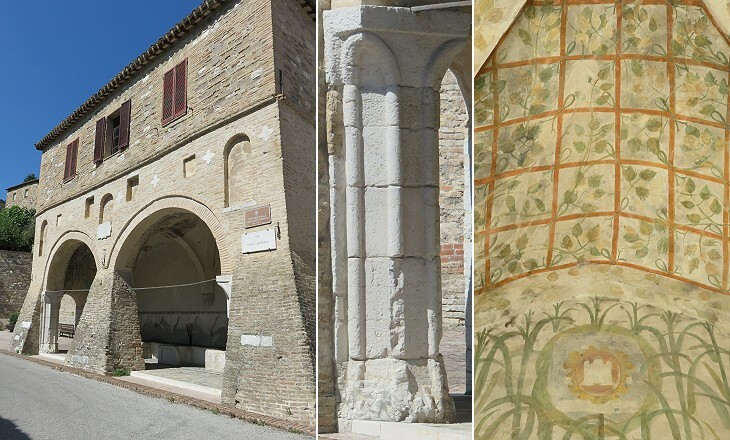 In the XVth century San Severino accepted the direct rule of the Popes, but some families continued to fight among themselves to establish their hegemony over the government of the town. In 1564 an agreement was reached and the town enjoyed a period of peace. An inscription placed by Mons. Alessandro Pallanterio who promoted the restoration of the fountain makes reference to his action to discordias sedare (to quell internal conflicts) and as delinquentium extirpator (eradicator of criminals). 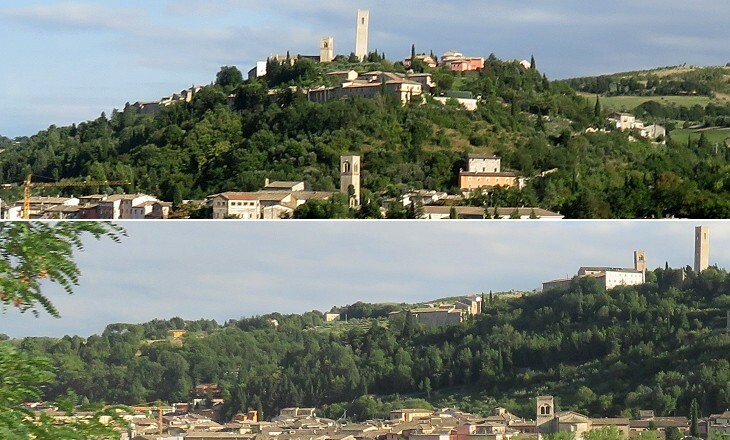 In this safer context many inhabitants chose to live at Borgo, the settlement outside the walls at the foot of the hill. 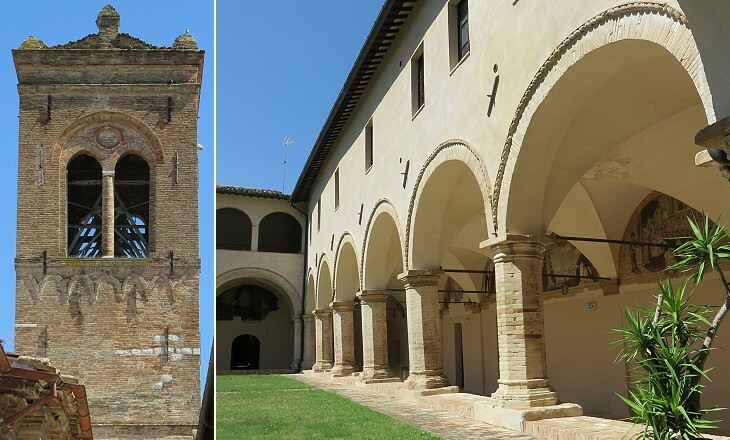 S. Lorenzo in Doliolo was part of a Benedictine abbey and dolioli were the jars containing the wine the monks offered during festivities. It is situated at the foot of the hill, but its bell tower was part of the fortifications of Castello as it controlled the western access it. The church is recorded as early as the VIth century, but it was rebuilt in the XIIth century and the bell tower was given its current aspect in the XIVth century. In the XVIth century changes were made to the interior of the church which led to walling up the access to the crypt and using it as a storeroom. 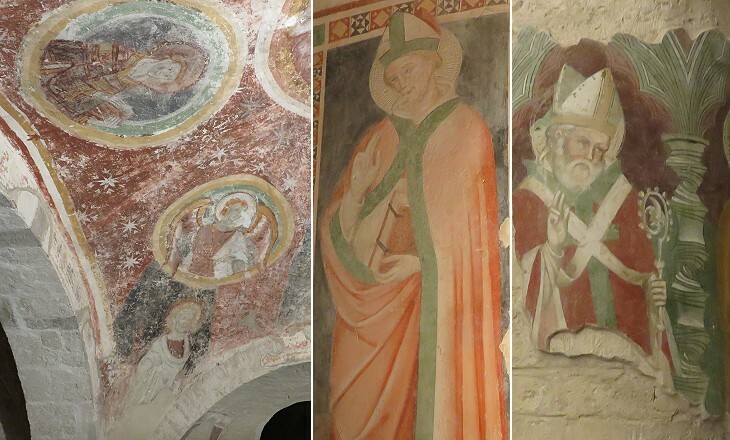 Its existence was discovered in the XIXth century, but parts of the frescoes which decorated it were so damaged it was not possible to restore them. 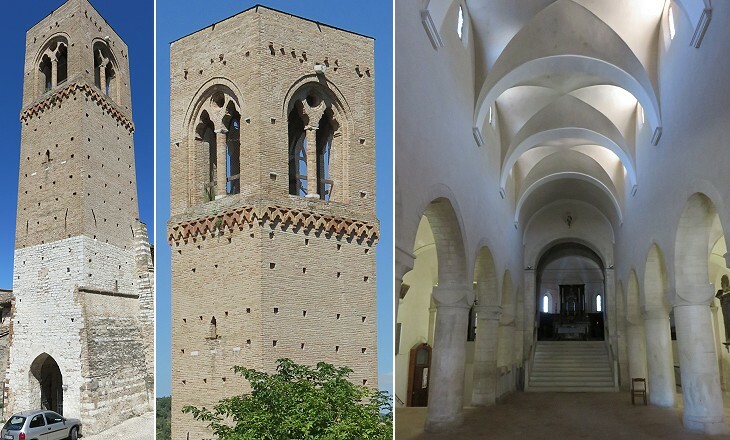 Borgo was initially a small settlement along a road which led to Macerata and Recanati. The very long shape of Piazza del Popolo, its main square, reflects the origin of the settlement. It was a marketplace and for this reason most of the buildings had porticoes where merchants could exhibit their wares. Although its existence goes back to the XIIIth century, most of the buildings are dated XVIIth or XVIIIth century. By then the majority of the inhabitants of San Severino had moved to Borgo. In the XIIIth century the Franciscans built their convent at Castello. In 1865 it was confiscated and then demolished. Its existence is remembered by the name of a gate. The Dominicans instead chose to settle at Borgo. Their convent was modified many times and in particular in 1664 when the church was enlarged and the cloister was rebuilt (another image of the cloister can be seen in the introductory page). Palazzo Franchi was built in 1539 at the eastern end of Piazza del Popolo. Antongiacomo Franchi listed in a long inscription at the top of the Renaissance façade his many titles and appointments. He was a prominent citizen and he represented the interests of his town to the Papal Court in Rome. 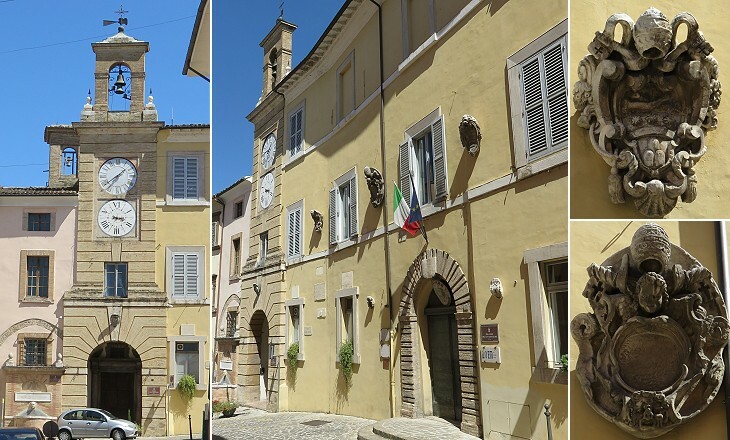 Palazzo Margarucci was built in ca 1590 along the street which linked the eastern parts of Borgo and Castello. In the XIXth century it became the residence of the Bishops of Sanseverino. 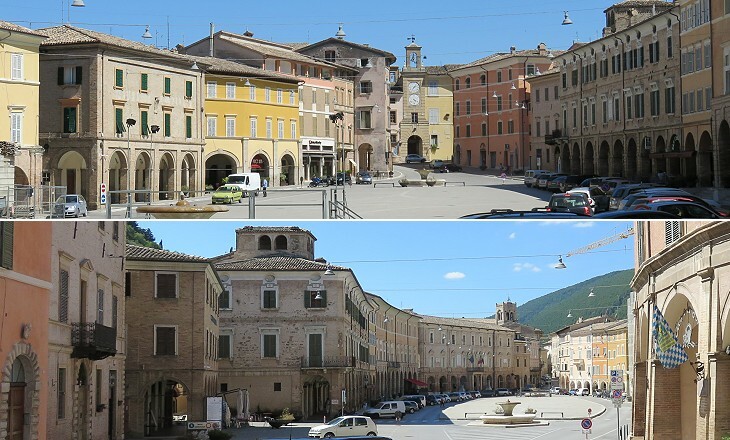 In 1586 San Severino was given the status of Città (Town) in addition to becoming a bishopric see. This meant that the Popes began to appoint governors of the town which was previously ruled by those of Camerino or Macerata. It was a junior post. Lelio Falconieri was appointed Governor of San Severino in 1619 and in 1621 he was "promoted" to Governor of Spoleto. He was eventually created cardinal and appointed Legate in Bologna. Gasparo Mattei was Governor of San Severino in 1621 before being sent to Perugia as governor and being created cardinal. In 1827 S. Agostino became the Cathedral of San Severino. The decision led to major changes to its interior. It retains a fine 1473 portal and a XIVth century bell tower which is very similar to that of the Old Cathedral. S. Agostino is situated at the western end of Piazza del Popolo where in the XVIth century Confraternita del Corpus Domini built a small oratory. 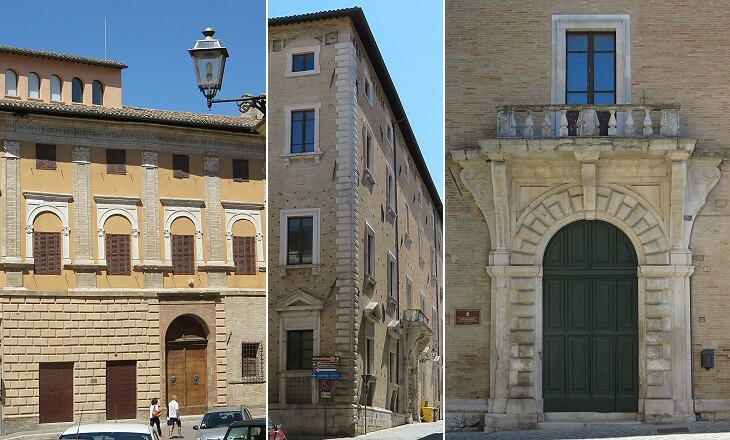 In 1810 the building was requisitioned and turned into a Monte di Pietà (a pawnbroking establishment run by the state). 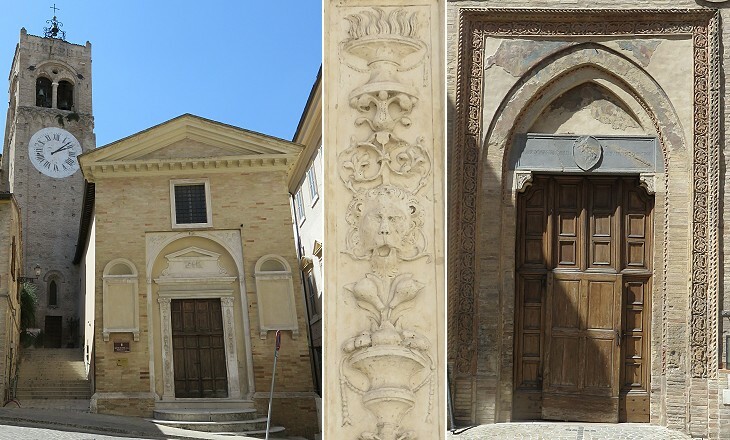 In 1812 the façade was redesigned but the Renaissance portal was not removed. The image used as background for this page shows a relief depicting the coat of arms of San Severino (a church between two towers).